Is the Still Small Voice the loudest in your life? Pastor Mark Batterson of National Community Church joins Johnny and Stacey at the kitchen table to talk about his new book, Whisper: How To Hear the Voice of God. "Is the Still Small Voice the loudest in your life?" At times, it can be difficult to find peace and calm in this turbulent world. Stacey Stone chats with author Osheta Moore about ways to find hope and encouragement. Tom Miner talks with Dr. Jack Smith, superintendent of Montgomery County Public Schools, to help you transition smoothly into a new school year. They often joke that their family is God's favorite sitcom! 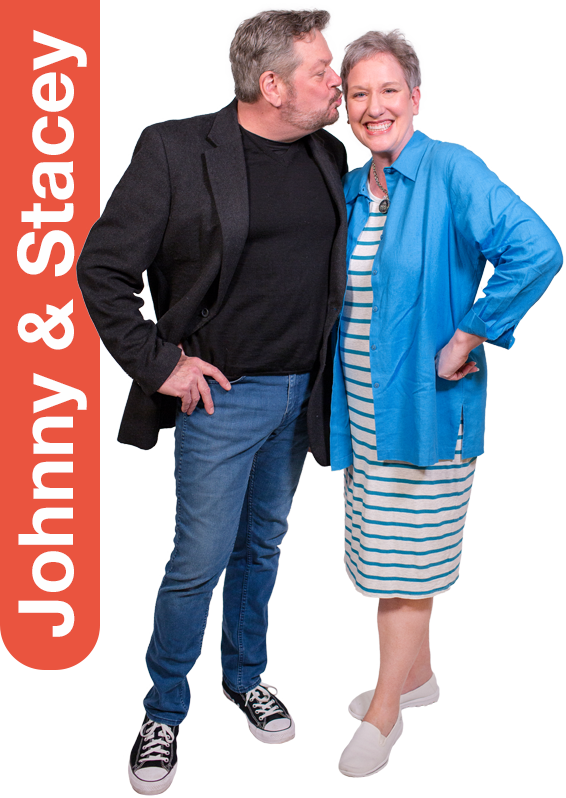 Johnny and Stacey will bring hope, faith and laughter to your afternoon while keeping the main thing the main thing. Johnny was a 7-year-old boy when he declared to his friends that he was going to be on the radio when he grew up (they laughed) and Stacey is a Texan who still carries the swagger of her home state along with the accent. 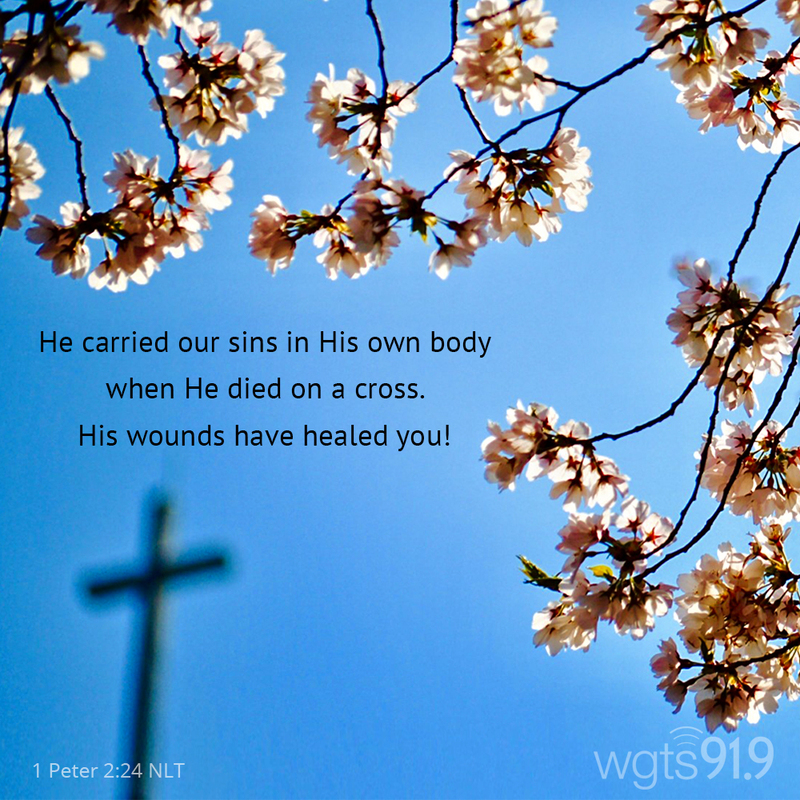 During your afternoon drive or homework hour Johnny and Stacey will find ways to bring your faith to life and your family an uplifting message to end your day with. So tired from caregiving for an elderly parent that you are ready to give up? Cynthia Ruchti has written a book for you. As My Parents Age: Reflections on Life, Love and Change brings about a better understanding of the heart of caregiving and the realization that you are not alone. Stacey Stone interviews her here. Your gifts of $40 a month or more provides emergency supplies for families affected by hurricanes Harvey & Irma. It's amazing to see what can happen when people of faith come together to help others. Don't go blind watching the eclipse! Here are some helpful tips. Whether you'll be hitting the road or sticking around town, Tom Miner shares the best way to celebrate this 4th of July weekend.